The working of the monetary aspects of the economy in Somalia without at least a reasonable appreciation of the real economy i.e. the commodities market. Through the microcosm of the financial sector one can learn a great deal about the day to day operations of the economy and begin to understand the need to involve the Somalis themselves in the process of economic regeneration. The fragile pastoral and agricultural activities of production have been brought almost to a standstill by the civil war. Economic activity depends mostly on international organisations and on remittances from the Diaspora abroad. Both these factors seem to be operating (the latter personally and the former under the foreign agendas of donor countries and organisations) under the overarching moral imperative of providing food and security to the Somali population under emergency situations; rather than providing a long term solution that contributes to the expansion and integration of existing markets. The destruction of the entire banking system has brought a very close link between the market for commodities and money Perhaps due to the aforementioned instinct of survival, the essential fabric of the Somali economy remained more or less intact, often in sharp contrast to the destruction of civil authority. An advantage brought by the civil war is a complete, and hopefully permanent, derailing from a command economy (under the Siad Barre regime) to a free market one in which trade is concentrated in commodities and foreign exchange in the absence of a banking system to act as a buffer. Somalia before the civil war had four major ports (Mogadishu, Kismayo, Bossaso and Berbera), a few smaller coastal ports and three international airports (Mogadishu, Hargeisa and Kismayo). The ports of Berbera and Bossaso are again handling large volumes of cargo to and from all continents following both local efforts and international investment and technical assistance. Berbera now constitutes one of landlocked Ethiopia’s most important seaports. The main port in Mogadishu remains closed since October 1994, but substantial volumes are being shipped through the beach port of Merka (100km south of Mogadishu) and Eel Mahaan (15km to the north). The beach ports and Bossaso port are inoperable during the monsoon season (July-September). Kismayo port is functional and has seen increased but limited activity, poor port services and intermittent insecurity hamper the port. Although it is extremely difficult to monitor, a large contribution to trade comes directly through the borders with its neighbouring countries. There have been fluctuating security problems due to sporadic attacks between the warlords aimed at gaining control over these focal points which are the primary source of money and income to finance arms that will sustain the control through violence. The Mogadishu international airport remains closed since the departure of UNOSOM II. Sections of the runway are claimed by four different militias, one of which has mined its portion to prevent planes from landing. In its place, there are 3 main airports/strips operating in the vicinity of Mogadishu: Iseley (around 10km north), has been expanded during the civil war; the “K-50” airstrip is used mostly by small planes supplying qaat  to Mogadishu and flying goods imported from Dubai to the Somali market of Eastleigh in Nairobi; and Baledogle which is a former military base (around 90km south). There are also smaller airstrips which permit access for humanitarian assistance to drought victims or displaced nomads. “Management” of airports is usually assumed by a local militia, and can be the source of armed conflict. The militia charge “landing fees” from qaat and other private planes. This money is, however, consumed by the militia and not reinvested in airport maintenance. Commercial airlines are operating and they link the larger towns (Hargeisa, Bossaso, Galkayo and Mogadishu) to Nairobi, Djibouti, and Dubai. Many Somalis use qaat flights to fly in and out of Nairobi, whereas the UN (UNCAS) and European Community Humanitarian Office (ECHO) flights service all areas of the country where EU or UN aid operations exist. Stateless Somalia is not anarchic, a wide range of formal and informal systems of governance exist at the local level, and provide at least some of the services that communities expect of government. Clan elders continue to draw on customary law/social contract (xeer), to manage local and inter-clan disputes, providing Somalia with a measure of law and order. Shari’a courts operate in parts of the country, providing an additional quasi-judicial function to local communities. Committees help to manage public assets like ports and airstrips; neighbourhood watch groups supply a rudimentary police service in some areas; and some districts have revived district councils, which provide varying levels of local administration. Collectively, this mosaic of fluid, overlapping authorities triggers endemic disputes over political control in local areas, and falls well short of a conventional state, but is also far from anarchy. All this political turmoil affects the lack of basic public goods but financial activity does not just seize to exist. As already noted the structure of the financial markets in Somalia can logically be expected to be closely linked to the operation of the commodity markets. The natural first step towards understanding the mechanics of the exchange rate system and problems with the stock of the Somali shilling was to examine the workings of the major commodity markets in the country. As the map (Figure 1) shows, the population in Mogadishu alone is by far the largest than that of any other region and hence I can deduce that the monetary functioning in Somalia may be analysed through the markets of Mogadishu. “At present, there are, in addition to two cattle markets, six main markets in Mogadishu. Three of these –Karen, Argentine and Hamarweine are in the North while the remaining – Bakara, Medina and Abdi Aziz are in the South. · Lack of hard currency from livestock sales after the Gulf countries imposed an embargo on Somali livestock in mid-September the year before. It is estimated that Somalia lost more than US$120 million from September 2000 to September 2001. 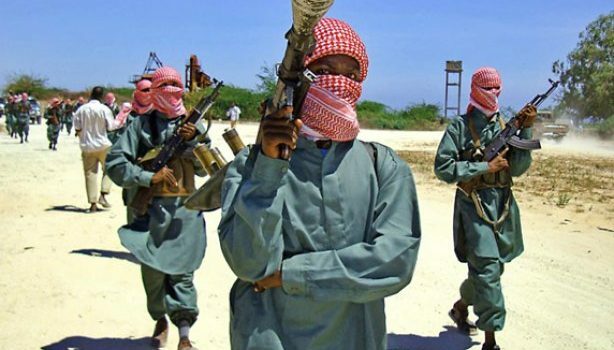 · Uncertain political prospects in Somalia because the position of the warlords against the Transitional National Government (TNG) hardened last year. This proves the fact that the foreign exchange market is extremely sensitive to shifts in underlying market conditions. This is to be expected in an economy which has also in the past been highly import dependent. The question over the value of the currency in Somalia is the link between the exchange rate and the level of economic activity, indirectly through the impact of the price level on the balance of payments. All these factors caused such havoc to all economic sectors that people rose in demonstration in large towns, such as Bossaso and Mogadishu as a desperate act against the frequent “dumping” of fake money into the markets. This affected all commodities as prices shot up, but as usual the most hardly hit were the urban poor and the Internally Displaced Persons (IDPs) living in and around main towns, whereas the middle and business classes are cushioned by the remittances they receive from abroad and the possession of the little hard currency there is (often through collaboration with international organisations). In response to this problem the TNG (July2000-2003) bought the bulk of the fake money from the businessmen/warlords and limited its circulation within the main markets of southern Somalia. Soon after, the TNG auctioned about 3.9 million Saudi Rials (about US $1.03 million). The effect of this is shown in the above graph in the temporary and slight increase in value of the Somali shillings in Mogadishu from May to July. Neither the TNG nor any international financial consultants have come up with a sustainable solution as the value of the Somali shilling plummeted again as soon as the auctions were suspended and new counterfeit money was introduced. A more recent problem arose in late September 2001 as 500 shilling notes were rejected on the market in most parts of Mogadishu. At first it was only partial but by early October the 500 notes were completely rejected from the market and this caused widespread demonstrations in the city. On the 10th of October, a separate exchange rate market was opened for the 500 notes. 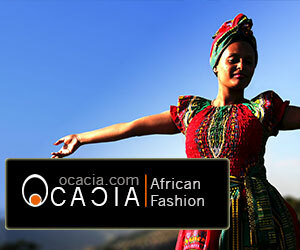 It was not an open and competitive market but one that was formed by this particular need. The exchangers were acting as intermediaries and the commission they added between the buying and selling rates varied from So.Sh. 5,000 to 10,000 per Dollar exchanged. This market was closed on the 28th of October as the re-introduction of the 500 note increased gradually; it is, however, a clear demonstration of the fluidity and flexibility with which business is done given the circumstances. Although, the pre-war overvaluation of the Somali shilling (with ample opportunities for corruption and patronage) must be avoided at all costs, if at least exports are not increased the current exchange rate situation could severely handicap Somalia’s recovery and development. Human development activities in Somalia are also constrained by a context of growing “donor fatigue” and significantly reduced levels of post Cold-War international assistance. The failure and frustrations of the 1992-95 international intervention in Somalia (UNOSOM) led to a sharp reduction in aid. Efforts to enhance human development in Somalia in the next decade will probably take place in a context of modest levels of international aid. This consideration was almost confirmed by the negative impact that the “war on terrorism” had on the country. The suspicions held by the American government on the existence of extremist Muslim movements in Somalia will only help to further reduce international aid and intervention in Somalia, despite the need to reverse the situation when analysing its current economic and humanitarian situation. The livestock sector, historically the most productive part of the Somali economy, has survived reasonably well, due in part to its relative autonomy from government services and infrastructure. Still, the absence of government-sponsored certification for livestock and range management has negatively affected this sector as well. The 1998 Saudi ban on Somali livestock due to perceived disease risks (a Rift Valley fever outbreak in the Horn of Africa) damaged commercial activities linked to livestock exports. This has seriously reduced exports and customs revenues in Berbera, creating a budgetary crisis for both households and authorities. Somaliland livestock exports in 1997 amounted to US $120.8 million, yielding about 80% of total hard currency income for Somaliland’s population, while livestock exports from Bossasso in 1997 were valued at US $14.8 million. The ban on exports led to a fall in Somaliland government revenue in early 1998 by over 45% and to a shortfall, compared to expenditure, of an estimated US $7.5 million. The ban is not expected to be permanent, it did, however, highlight Somalia’s dependency on a single export, a single foreign market, and the need for a diversification of both. To the south where cattle and goats are sold in Kenya, relatively robust profits are enjoyed by a much larger group of mid-level traders, who monitor prices in major selling points inside Kenya to insure a good price. Because their animals travel overland to Kenyan markets, traders are less vulnerable to changing prices than traders shipping animals by boat to the Gulf. If prices suddenly drop, traders instruct their herder (kowsaar) to hold the livestock off the market in local pasture areas until prices improve. Unfortunately, the distribution of income earned from livestock exports is uneven. For example, in the Northwest, a small group of importers-exporters (roughly 10) with business links in Djibouti (which give them access to letters of credit) dominates the livestock export sector. Though they shoulder greater risks, they also can enjoy windfall profits from the trade. They also dominate the import of foodstuffs, and collectively form a market for foreign exchange thereby essentially setting the exchange rate in that region. Agricultural yields and output have declined sharply from pre-war levels, due to deteriorating canal and flood control systems, lack of agricultural inputs, poorly-timed food aid and poor security. Irrigated land is used for both commercial and subsistence agriculture. The main agricultural production is subsistence-orientated grain production, yet it has suffered a dramatic decline since 1990 as most farmers have reduced the area under cultivation due to security problems. Household incomes in agricultural areas are lower than pastoral and urban settings, and are typically less diversified, so that these households are both poorer and more vulnerable. Yet, this sector’s poverty belies its importance as the performance of smallholder agriculture essentially determines whether and how much food aid Somalia will need each year. The environmental degradation and stress has had repercussions on many other aspects of Somali life and is perhaps the most difficult damage to reverse. The absence of State-sponsored range management has led to overgrazing and degradation of pastureland in some areas; communities desperate to generate income are destroying whole forests for charcoal production and export, faction leaders seeking hard currency to fund their patron-client relations agree to the dumping of toxic waste by international companies in areas under their control. Each instance of environmental degradation in this fragile, semi-arid setting increases the risk of desertification and reduces the carrying capacity of the land. A solution could be the establishment of a policy of royalties that recognises the intrinsic value of the resource and not only the cost of extracting or otherwise processing it. In particular, the value of standing timber, or trees, will be recognised through the establishment of appropriate stumpage fees. Similarly, given the over-fishing of recent years due to the absence of state regulation, fishing license prices will be set to reflect the depletion of fish stocks. Environmental problems should also be solved with the support of market forces. There should be a longer term objective of setting up an appropriate structure to deal with environmental issues and, wherever possible, to use appropriate charges or levies (for discharges, or other damage) that permit optimisation by the firm rather than outright prohibitions which impose high economic efficiency costs. Bananas are the only cash crop of consequence exported from Somalia, although there are new markets emerging. Banana plantations were revived in the Lower Shabelle region and in 1997 around 3,400 hectares were cultivated there; in the same year exports to the European Union were valued at US $12 million. The costs and benefits of a revived plantation/agricultural export economy in Southern Somalia were a subject of protracted debate before the civil war and remain as such both within Somalia and the donor community. The advantages are that it is a vital source of hard currency for a country that requires it to rebuild its economy and State. About 140,000 Somalis depend directly or indirectly from banana production and the plantation economy supplies cheap bananas for local consumption on which poor families depend. On the other hand, it has been argued that some land on which cash-cropping is taking place has been grabbed during the civil war by militarily stronger clans and is not theirs to farm. It has also been claimed that the proceeds of banana exports bankrolls militias whereas the profits are concentrated in the hands of a very small group. Hence, broader benefits to the community are minimal, and banana production is poor use of the best farmland in a country chronically short of food. During the Lome Convention in 1990 the 12 members of the European Union agreed on quantities of banana imports from the 69 ACP (Africa, Caribbean and Pacific) countries. Somalfruit controlled all the banana exports in Somalia mostly to meet the 60.000 tons established at the aforementioned Convention for the European market. These plans were ruined, to say the least, by the civil war and the multinational company Dole took advantage of this by forming the Bombana company in Somalia in 1993. Soon the two companies were competing and by 1995 managed to bring the export of bananas up to 27.000 tons. The profitable crop entices such multinational firms but they needed to collaborate with warlords in order to operate during the civil war. Consequently there were different factions supporting each company which reached the point of forming a split even within Aideed’s clan. An important recent development was a 1997 World Trade Organisation (WTO) ruling, under the Lome Convention, in which Somalia was guaranteed a fixed quota of banana exports into the EU at a fixed (and profitable) price. However, this advantage may be lost as Somali bananas are generally more expensive than Central American bananas because of the added costs of irrigation. Hence, the recurrent need to diversify both production and markets in the years to come. erhaps the most delicate internal problem is the increasing Islamic influence in the country which is evident when basic cultural aspects are compared to their state in the pre-war period. The reason may indeed be an increased need to turn to faith and prayer after so much suffering in the country. Yet, in Mogadishu 50 of the 70 girl’s schools are run by Arab NGOs and for 90% of the children the only available schools are Qur’anic. The incorporation of Islam is not limited to culture and religion and it even appears threatening to government authority when we consider that of the 100 judges who applied for the TNG refresher course 80 were from the Shari’a  courts. With regard to money the Islamic Law is at present trying to integrate the interest-free banks (which respect religious principles) into the modern banking system. It is a serious economic problem for the Arab world which feels it would need to sacrifice certain religious practices if it were to participate in the existing banking methods. However, previously in Somalia the Islamic faith was not so vehemently followed as to inhibit the majority of the population from making bank deposits and investments with interest rates. Considering the increased authority Shari’a has gained in the country during its civil war, it may be appropriate to analyse a feasible Islamic avenue to economic development. Some contemporary Muslim authors see in state intervention in the banking system itself the ideal way to eliminate interest and other unlawful gains; after Somalia’s experiences, however, I consider state intervention to be the last of its needs and side with the overwhelming majority who see the solution in a profit-sharing system to replace interest. These can be considered the spiritual and philosophical facets of the Islamic economic concept, which if combined with the rules of free market economics may provide the most suitable banking techniques. The main prohibitory rules which are unanimously acknowledged, in principle at least, by Muslims are those referring to riba (unlawful advantage by way of excess or deferment) and gharar (uncertainty, risk and speculation). Written history tells us that compound interest was forbidden, this is clearly emphasised by the Qur’anic verse: “But God hath permitted sale and forbidden usury”(II;275). Riba is generally translated into English as “usury” or “interest” but in fact has a much broader sense under Shari’a which is “increase” or “gain”. Gharar, unlike riba, has in the process of time had its field of application greatly widened as concern for protecting human beings from their own folly and extravagance is an important feature of the Qur’an. However, it is usually applied to sale contracts, whether real or hypothetical and hence concerns more judicial matters rather than financial or monetary aspects. Having briefly touched on monetary aspects that do and do not conform to Islamic methods, I will now touch on the most common Islamic banking methods of profit sharing arrangements developed. The vast majority of contemporary Muslim economists have adopted the mudaraba (commenda partnership) technique for the distribution of profits and losses as the principal substitute for interest. This technique is also currently put into practice by most Islamic financial institutions which consider profit-sharing as the foundation of their operations. The main objectives of an interest-free bank, as seen by most contemporary Muslim authors and thinkers,  are to mobilise funds from the public on the basis of mudaraba partnerships and to provide funds to entrepreneurs, essentially on the same basis. In this manner the principal source of income of an interest-free bank will be the difference between the share of profit it receives from the entrepreneurs and the share of profit it gives to the depositors. The division of profits between the two parties must necessarily be on a proportional basis and cannot be a lump sum or a guaranteed return. For example, one proposed solution in the procedure for bills of exchange was to advance cash to the drawer of the bill of exchange on the basis of mudaraba, claiming for the bank a modest share of the profits expected from the transaction. I believe that in a mixed economy (with both Islamic and non Islamic monetary institutions) mudaraba may be a successful way of stimulating investments (even from the Diaspora). Interest lending and mudaraba can be said to represent the two polar alternatives in terms of financing. Whereas, musharaka-based transactions represent something of a middle road between these two. Under a musharaka, the entrepreneur adds some of his own capital to that supplied by the financial investors, so exposing himself to the risk of capital loss. Bases for entitlement to the profits of a musharaka are capital, active participation in the musharaka business and responsibility. Profits are to be distributed among the partners in business on the basis of proportions settled by them in advance. Losses must, however, be shared in proportion to the capital contribution. The features of musharaka can be used to structure a working capital facility for a company, or it can be used for joint investments. For example, in Sudan the musharaka has been utilised extensively in rural finance. Thus, Islamic banking goes beyond the pure financing activities of conventional banks. Islamic banks collect money from the depositors on the basis of mudaraba and invest the same in different projects/business/trading under different investment techniques using the funds under mudaraba. This system allows the institutions to collect funds from a large number of investors (depositors) on a profit-and-loss-sharing basis and then employ these funds as agent (mudarib) in equity arrangements and commodity (trade) investments which are in conformity with the Islamic principles explained previously. However, by its very nature, Islamic banking is a risky business compared with conventional banking, for risk-sharing forms the very basis of all Islamic financial transactions. To minimise risks, the Islamic banks must diversify risks and establish reserve funds out of past profits to fall back on in the event of any major loss. These are the principal aspects of the integration of Islamic law in contemporary finance. 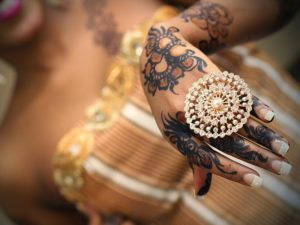 It is mainly the product of a collective feeling that most Asian and African Muslims have of expanding Shari’a influence beyond the sphere of family matters. The current fears of the US and its Allies with regard to Terrorism and the Al Qaeida movement are bound to obstruct the integration of Shari’a laws in financial institutes even though this might improve the regulation of the sector. The implementation of Islamic law in monetary issues must be done in a manner that avoids at all costs a high level of state intervention or any hint of a theocracy. Indeed, it must be noted that the option adopted by AFIS, in which Somalis were given the option of laity or Islamic law is probably the most suitable to a country in which Islam is not as deep-rooted as it is in the Middle East and other Muslim countries. However, there are Islamic interpretations of the economy that would suit the case of Somalia very well; such as a choice to move away from programmes of central planning and towards an emphasis on a market based economy guided by ideas of export promotion rather than import substitution. Economic thought has virtually eliminated all hopes of complete laissez-faire and hence it is a matter of finding the perfect balance of government intervention. 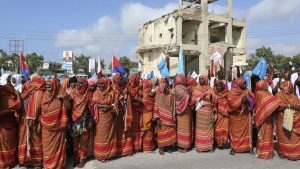 The governmental and monetary methods historically introduced in Somalia did not cater for ethics, culture and tradition; this may have been their primary flaw. It would be disastrous to watch the current US anti-Terrorism doctrines obstacle what may become a comfortable economic solution for Somalia. Offended by the barbaric destruction of the helicopter “Black Hawk” and the humiliating withdrawal of the mission “Restore Hope”, the largest world power is likely to adopt a line heavily discouraging Islamic influence rather than seeking the best option for the Somali people. The three major money transfer companies active in Somalia handle some 750,000 transfers to Somalia worth US$500 million each year, benefiting about 80% of the Somali population of 7.5 million  estimated in 2001, more than donor aid (registered as US$115 million for the year 2000). Current remittance operations are reliable, efficient and inexpensive, but fall short of acceptable international standards of organisation and management. Their reliability, despite the lack of regulation is based on trust which characterises the hawala system  , which not only avoids the risks of materially transporting cash but is also an instrument of both exchange and credit. They lack consistency in compliance with host country laws, rules and regulations, and do not have pro-active plans to identify suspicious transactions and money laundering schemes. “In the aftermath of 9/11, one of the actions taken by the US government, as part of its attempt to starve al-Qaeda of money, was to shut down the Somali overseas banking network al-Barakaat. Since 11 September 2001, Somalia’s money transfer companies have come under increasing international scrutiny, and the threat of sudden closure. Al Barakat, operating since 1991, was suspected of having financed Al Qaeda; on the 7th of November 2001 it appeared on the black list of the 62 companies and as part of the war on terrorism the US Treasury froze the funds of the largest operator  in October. If the accounts of Dahabshil – the next largest – were closed, the combined impact on Somalia’s economy could be grave, according to UNDP Somalia. Already there has been a crisis of confidence in remittance operations, a slow-down of private sector investment and labour opportunities, reduction in construction and transport activities, and the loss of a major source of income to some poor households. The hawala system was the only one able to connect financially the Diaspora with their relatives even in remote and dangerous parts of the country. The only regular money transfer company operating in Somalia is the American Money Gram which is based only in Mogadishu and charges commissions on average 25% higher (for transfers of less than 1,000 euros) than the informal hawala. The lack of solid governance in this case renders a positive source of income (through remittances) also unstable; furthermore it enables neighbouring and other economically powerful countries to disrupt the local economy simply on the basis of “suspicions” on terrorist activity which is definitely impossible to monitor at this point in time. Throughout its history the Horn of Africa has had large number of Somalis residing abroad. However, the period of civil war witnessed the replication of clan-based factional politics (each faction fielding its own militia as well as its overseas spokesmen) even among groups like the Digil and Rahanweyn which before 1993 had not operated as collective military or political entities. Indeed, Somaliland’s fitful progress toward peace and economic recovery (since its de facto secession in 1991) was heavily assisted by remittances and investments from overseas relatives. This prompted other regional leaders to declare their autonomy and attempt to establish regional governments. Not only in Somaliland and Puntland but even in the south where governance remains fragmented, overseas Somalis have played their part. The contribution of the Diaspora communities could well develop from an extended family network model  to a much larger contribution to economic recovery. For this to happen the homeland state need not take a leading role, but it must be willing to tolerate the notion and practice of decentralised development. An alternative leadership strategy is to seek to suppress the ethic of self-interest by means of, firstly, exemplary selfless behaviour on the part of the political elite and, secondly, a socialist ideology of the collective good. Decades of corruption and a patron-client network constituted an informal hierarchy that can only be turned around by the development of organisational and regional units. Institutionalisation is needed but in a constructive form that would encourage workers to begin to appreciate their broad, long-term interests and demand legislation that meets these interests in exchange for support, instead of immediate, individual rewards. On this matter there appears to be a dual consciousness, marked by pride in the concept of greater Somalia alternating with a passionate clannishness. Whereas some would argue that with the exception of Ethiopia, which continues to pursue a foreign policy toward Somalia that (at best) seeks to promote reconstruction of the parts at the expense of the whole, Western governments and international organisations have opted to back a single-state model. Backers of this model argue that a strong central government will be a more effective partner in combating international terrorism and restoring a semblance of order to international relations in the Horn. I believe that reconstruction of Somalia must come from Somalis themselves and despite the aforementioned disputes over State models it is of vital importance that the Diaspora return and bring with them all the know-how, investments and innovations that will gradually shape the country’s economy. A forceful demilitarisation should suffice as an enticement and the Diaspora (cushioned by years as immigrants in foreign countries around the globe) should not hesitate to channel not only remittances but also their acquired capabilities to their country of origin. Source: Maps on the areas of Somaliland and Puntland from the internet (2000). 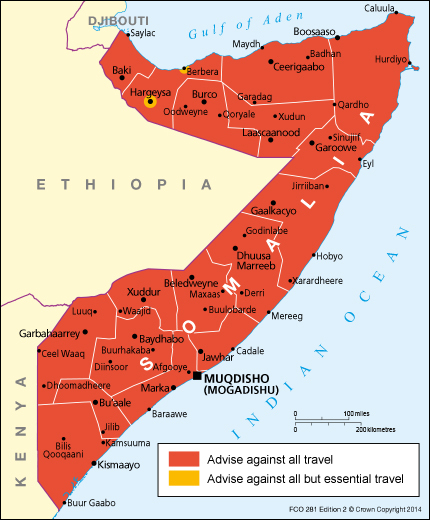 Source: Map on what is known as greater Somalia, showing the extension of land occupied by people of Somali origin and their different clans, from the internet (1992). 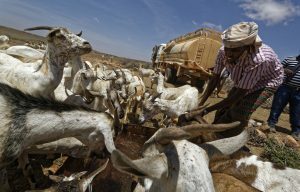 Climate:Somalia is a hot and dry country with an average temperature of 27°C. SSDF: The Somali Salvation Democratic Front is based in the Northeast and is the first opposition front against Siad Barre. Abdullahi Yusuf, as President of Puntland, declared all factions to be illegal in mid-1998; Abshir Musse and some SSDF are contesting this. If the ruling holds, the SSDF will pass out of existence. SNM: The Somali National Movement is/was a movement of the Northwest formed in 1980 as an armed liberation group against the Barre regime. The last attempt to revive it was in April 1998 in Hargeisa, through the SNM veterans’ association “Soyaal”. RAHANWEYN: Mostly composed of new comers of other clans absorbed into the Rahanweyn.They speak a distinct dialect, which some argue constitutes a separate language, called Af-Maay. 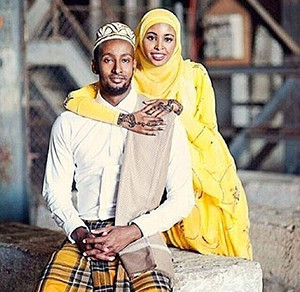 · Midgan/Tumal/Yibir: A “low caste” strata of Somalis within each of the major clans. Born in Somalia to an Ethiopian mother, Anna is a Kenyan national who now resides in the UK as a venture capitalist. © African Holocaust 2019 All Rights Reserved.